This is post #2 (of 2) in the “Blog Award” series. The first launched yesterday and can be read here. Onto the awesomeness: I was first nominated for a Versatile Blogger Award by Angela, over at HalfPastNormal. Angela’s blog, in which she chronicles living life with two (now three) fantastic young people, both of whom have very serious genetic disorders, but don’t let that stand in the way of anything, and her ADHD “Hubby”. Her blog posts are funny, heartfelt, and always interesting. I love a blog that opens my eyes to a world I otherwise would know nothing about, and Angela’s writing has taught me about things I never knew existed. Thank you, Angela, for both the award, and for writing. And again, as with ProfMomEsq, the other blogs Angela links to are fantastic as well – go check them out 🙂 Thank you Angela! The second Versatile Blogger Award was put up yesterday. Mados was one of my very first readers. Mados is a fantastic writer, who covers a HUGE range of topics from telephobia (something I completely and utterly relate to), to her current job as an interviewer, to freelance work, and then some. Her blog is insightful, and amazingly informative. She also put an enormous amount of effort into nominating blogs and writing about them for this award. Her 15 chosen bloggers are a set of gems, and you should go check out the post and some of the blogs. Thank you, Mados! Thank the person that gave you the award in a blog post & link back to their blog. 1. I used to read books while standing on my head. I thought it was more interesting than reading upright. Plus, it gave me incentive to read faster, and practice my headstands! 2. On the subject of reading, I bought myself a kindle last year when I graduated from college. I didn’t think I’d love it, because I’m a reader, and I love books – how they feel, smell, etc. But I absolutely LOVE my kindle – all my favorite books in one place, it remembers my place in all of them. I bought a special case that opens like a book, so I can hold it like a book, and it’s just so fantastic. Definitely my favorite gadget of all time. And I love that it’s almost 100% only for reading – unlike an iPad or other tablet/touch screen device, my simple little kindle is for books and books alone. And I love it. 3. One of my favorite things to do is go to Costco and wander up and down the aisles. When it’s not crowded, that is. The giant stacks of super organized bulk materials is fascinating and calming to me. I also like some Staples stores for this reason. 4. I play the piano. I’m pretty darn good too, when I have time to practice. I used to practice every morning at 6am, because that was when my parents agreed I could start making noise. I would wake up at 5:15 and get everything ready for school and eat breakfast, then practice until it was time to go. My sister hated it, because she wanted to stay asleep. 5. I collect coins. Not as much now as when I was a kid, but definitely still do. I have a massive collection of pennies, all the way back to 1909, with only a few missing! 7. I can juggle. I’m pretty good at it too. I like to juggle just about anything I can get my hands on – I can juggle tiny things like cheerios, up to big things, like soccer balls. I can’t juggle basketballs – they’re too big and hurt my hands, but I have juggled shoes and cell phones, just to prove to people that I can, in fact, juggle. 9. I have a sister. We are 3 years and 3 days apart. Both of our birthdays are on days that are multiples of 3, and in a month that is a multiple of 3. I made this fact #9, because 3*3=9. Before you ask, no, there are not 3 kids in my family, only 2. But this is a fact about 3s, so that doesn’t matter, now, does it? 10. My biggest pet peeve living with other people is when they leave dishes in the sink for more than a “reasonable amount of time”, which, in my mind means that they clean up after a meal with the following exceptions: if something needs to soak, it (and only the one thing that needs to be soaked), is left in the sink overnight or during the day, and it is cleaned at the first available opportunity. Additionally, if there is a time one needs to leave suddenly or quickly or is running late, dishes left for several hours on occasion are OK, as long as they are cleaned when the person returns. I don’t think this is particularly difficult, and I’m only picky about the kitchen. But it’s the one place that if it’s dirty, I don’t eat, which is all-around a very bad idea. And now, 15 fabulous blogs. 1. Voxcorvegis – I love reading this blog, by an incredibly interesting transgerder physicist. She writes about everything from physics to politics to transgender and LGBT-related identities to history to fiction, and then some. 2. Clarissa’s Blog – Clarissa is such a powerhouse blogger – somehow, she manages to use her superpowers to be a full time college professor, teach several classes, conduct research, and post at least 2-3 times per day (usually many more) on interesting and thought-provoking subjects, very few of which have anything to do with her direct field of study. She’s extremely well-educated, well-read, and I really enjoy reading her posts and on occasion, jumping into the discussions in her comments section. I want to be half as awesome as she is when I “grow up”! 3. Postcards from the End of the Spectrum – another relatively new blog that is just a wealth of information about living on the autism spectrum. SpectrumScribe’s posts give a unique insight to growing up autistic in a different generation. Well worth the read. 4. Yes, That Too – Alyssa is me. I swear. Not exactly, of course, but seriously, a good portion of things I read from her could have come directly from my head. She’s a younger scientist, doing research in (?industrial?) engineering, and has some amazing insights. Also, she runs a really neat business called “Because Patterns” – her patterns are fantastic, and she has a cafepress store that allows you to buy everything from notecards to t-shirts to blankets, with patterns on them… how cool is that?! 5. Brute Reason – Miriam’s blog always teaches me something, which is what I love about it. She writes with brutal honesty and in an incredibly accessible way, on numerous topics. Truly a versatile blogger, and one whom I have grown to respect and enjoy reading since I found her blog, ironically, through Nominatissima’s Versatile Blogger Awards last December. 6. Odd Cog Blog – JoJo is an autistic blogger who writes about a bunch of different topics, only rarely autism. His blog definitely qualifies as “versatile” in the subjects it transverses, and is great fun to read. 7. Caleigh’s Corner – This one was a little hard for me to put up. I’ve been following Caleigh’s story since I started reading blogs several years ago. Caleigh is an incredibly intelligent little girl with a number of very serious challenges. I stumbled across her mom’s blog on accident, and was captured by Caleigh’s incredible intelligence and wonderful grin. I really enjoy hearing about her, and while I know I’m not the “intended audience” of the blog, nonetheless, I’ve been taken in by the power of the internet, and really care about Caleigh and love reading about her growth and her story. 8. George Jessie Love – Again, a blog I stumbled upon in the depths of the internet. Julie, the author, writes about parenting her transgender daughter, Jessie, a very spunky young person, discovering her place in the world. Julie’s writing is versatile (and not always about parenting a transgender kiddo), honest, heartfelt, and remarkable. 9. Diary of a Mom – Written by a wonderful Autism Mom, about her daughters “Brooke” (Autistic) and “Katie”, and their lives, Diary is a beautiful blog that chronicles some extraordinary things. Beautifully written, honest, and caring, Jess’s blog is about so much more than autism. It’s a blog about humanity. 10. A Quiet Week in the House – a very wonderful blog, written about an aspie family, and how they interact and respond to the world around them. This blog often includes fantastic illustrations as well as great experiences and stories. 11. Rolling Around In My Head – Every day, I learn something new from Dave about what it is like to live with a disability and about disability activism. This is such a fantastic blog, I can’t even begin to describe it. I appreciate his daily share of a small slice of his life so much. 12. Aspie Kid – Aspie Kid also writes (surprise!) 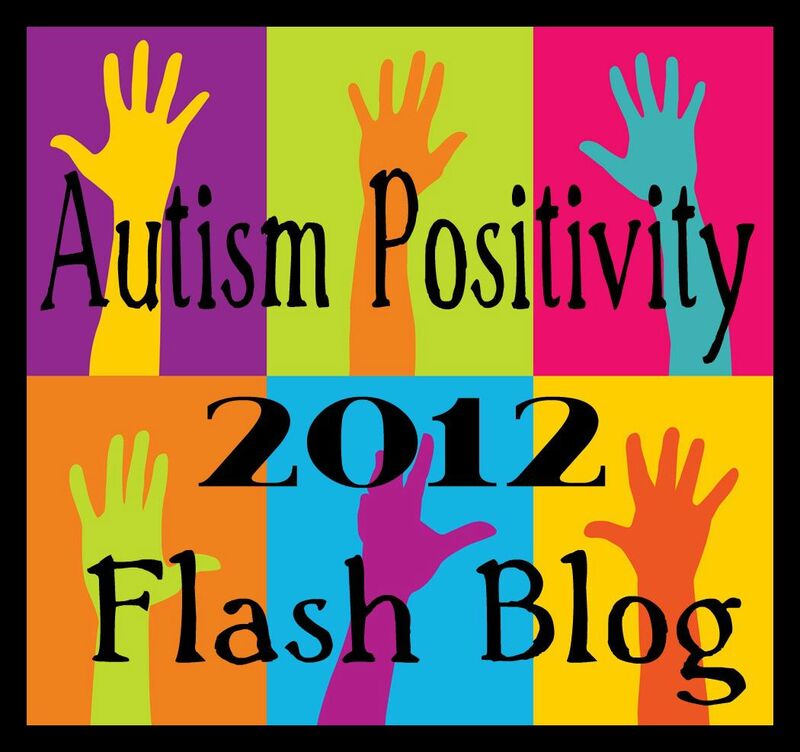 an autism blog, chronicling experiences of growing up autistic. I always learn something interesting when I go to this blog, and it has proven a great resource as well. 13. Inner Aspie – Written by an aspie mom to a 3 special needs kids, this blog serves both as a resource for parents of autistic kids and for autistic adults together. Her online identity, “Quiet Contemplation” really does describe the beauty of this. 14. Aspieside – Aspieside was one of my earliest readers as well, and she writes a fantastic blog about her journey of learning about her son’s and her own autism. 15. Just Stimming – Julia, the mind behind “Just Stimming”, is the person who brought the Quiet Hands essay to the world. But that’s not the only thing of value on her blog – nearly every one of her posts is as beautiful, powerful, and heartfelt, and her blog is a wonderful place to go if you’re looking to understand how autism advocacy works. 16. Radical Neurodivergence Speaking – Kassiane is an autistic adult, a little older than I am. She writes a fantastic blog, with everything from advocacy to simple living skills. She also used to be a gymnast, like me, and she’s also a gymnastics coach. See, world, autistic people can be great athletes! 😉 Anyway, hers is a wonderful blog – I hope you go check out. 17. Autistic Hoya – Lydia is an autistic college student, who writes a great blog, mostly consisting of essays about autism and the autistic rights movement. Her work is pinicle in the Autism Self-Advocacy movement, and if you haven’t found it yet, you MUST. 18. Everyday Asperger’s – Sam, the author of this blog, has set a challenge: 365 days straight of posting. Her writing traverses myriad topics, and is poignant, honest, funny, and superb. Phew! That’s a lot of fantastic blogs. If yours *isn’t* included here, please feel free to add it in the comments! 🙂 And check out the blogroll to the side of the blog, as well. Thank you for the great list and the nice words! A huge range of topics: it is interesting that that’s your perception (and maybe others as well). I think I cover different aspects of just one topic: which is ‘issues that create employment/income difficulties & test and/or description of coping strategies’ (I wish I had a short handy name for that). Freelance work, social anxiety, social skills, non-verbal communication, the interviewer job, previous jobs and past history et.c. are all aspects of and ways to circle in that one core topic.